Photojournalist Raghu Rai was conferred with a Lifetime Achievement Award by the information and broadcasting (I & B) ministry for his remarkable contribution to the field. 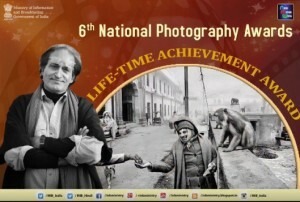 Rai was honoured with the award by I&B minister M. Venkaiah Naidu at 6th National Photography Awards in New Delhi. National Photography Awards is an annual event organised by the ministry to “Promote art, technique of Photography”.